More than 24 million people 12 and over have abused hydrocodone. More than 5% of 12th graders have abused hydrocodone. Hydrocodone abuse often leads to addiction and dependence 1,3. People seeking to quit using hydrocodone should be cautious, since a series of uncomfortable and distressing effects can arise when use stops or is reduced drastically 3. 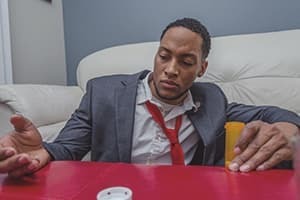 Known as hydrocodone withdrawal symptoms, these challenging and erratic signs add discomfort and stress and, furthermore, can complicate recovery. Using hydrocodone as prescribed by a doctor can be beneficial in relieving pain, but many people abuse the opioid for nonmedical reasons, such as to get high. Chronic abuse of hydrocodone can lead to addiction. Vision problems resulting from pupil constriction. Insomnia or disturbed sleep patterns. Increased risk of overdose due to tolerance. Do I Need Hydrocodone Detox? You use higher or more frequent doses than intended. You have attempted to quit or cut down on use but have failed to do so. You experience problems at school, home, or work due to hydrocodone use. You experience interpersonal or social problems resulting from hydrocodone use. You frequently use the drug in hazardous situations. You continue to use despite psychological or physical consequences caused by or exacerbated by use. You have cravings for hydrocodone. You spend a large portion of time obtaining the drug, using it, and recovering from its effects. You require increasingly larger doses to get the same effect (known as tolerance). You experience withdrawal symptoms with abrupt discontinuation of or reduction in use. It can be challenging to quit using hydrocodone on your own due to the emergence of painful withdrawal symptoms. You may want to consider seeking a hydrocodone detox program that can ensure your comfort and safety throughout the process. Fast pulse, high blood pressure, increased body temperature. Excessive sweating and runny nose. The exact substance/ formulation being abused. Route of administration (e.g. snorting vs. injecting). Dose and frequency of use. Established mental or physical health conditions. More than 82,000 emergency room visits were linked to hydrocodone abuse and overdose in 2011. In most situations, hydrocodone withdrawal is not life-threatening, but it can lead to many unwanted physical health and mental health effects 6,7. Dehydration: Poor self-care (e.g., adequate food and water intake) during detox paired with vomiting, diarrhea, and increased sweating can result in dehydration and electrolyte problems. Heart issues: Especially problematic for those with long-standing cardiac and related issues, the effects of withdrawal on the cardiovascular system can create or worsen heart problems. Higher stress: The increased mental stress of hydrocodone detox can spark anxiety and panic, which is more prevalent in people with pre-existing conditions. Intense pain: With hydrocodone withdrawal, a person’s pain threshold will be lower and result in increased perceptions of pain. Cravings are another dangerous complication of hydrocodone detox because they can increase the danger of relapse and hydrocodone overdose. According to the DEA, more than 82,000 emergency room visits were linked to hydrocodone abuse and overdose in 2011 1. Recovery from hydrocodone dependence and addiction may be facilitated with medically-assisted or medically-supervised detox. Detox treatment will focus on gradually reducing the dose and frequency of hydrocodone or administering specific medication-assisted treatment (MAT) drugs (e.g., Suboxone) to manage withdrawal and treat cravings 6,9. Inpatient/residential detox programs are the best choice for people with more severe addictions, a history of complicated withdrawal, or limited supports in their home environment. Inpatient/residential programs allow the individual to live and receive detox services at the facility with staff and other residents for support. Outpatient detox programs are a better fit for people with less severe addictions, lower risk of serious withdrawal symptoms, and established family or community supports. 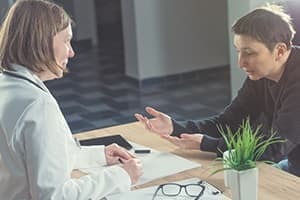 With a number of program varieties and time requirements, outpatient treatment generally involves the individual attending detox treatment during the day and returning to home or work following the appointment. This treatment can take place at community health facilities, doctor’s offices, and other detox treatment centers. Detox can help people take the first step, but lasting recovery from hydrocodone addiction usually requires a long-term commitment to addiction treatment 9. Seeking substance abuse treatment following detox is valuable, since people who engage in a comprehensive recovery program tend to be more successful in their abstinence 9. Drug Enforcement Administration. (2014). Hydrocodone. U.S. National Library of Medicine: Medline Plus. (2016). Hydrocodone Combination Products.